WORLD PREMIERE: A story of type 1 diabetes, injections, caring for each other, and eating a whole bloody cake if you want to. Jade Byrne is an actress with type 1 diabetes, which is not type 2 diabetes. Over the past 29 years, she’s had over 70,000 pricks (of the medical kind), and she’d like to set the record straight: she’s not bankrupting the NHS, and she Can Eat Cake. 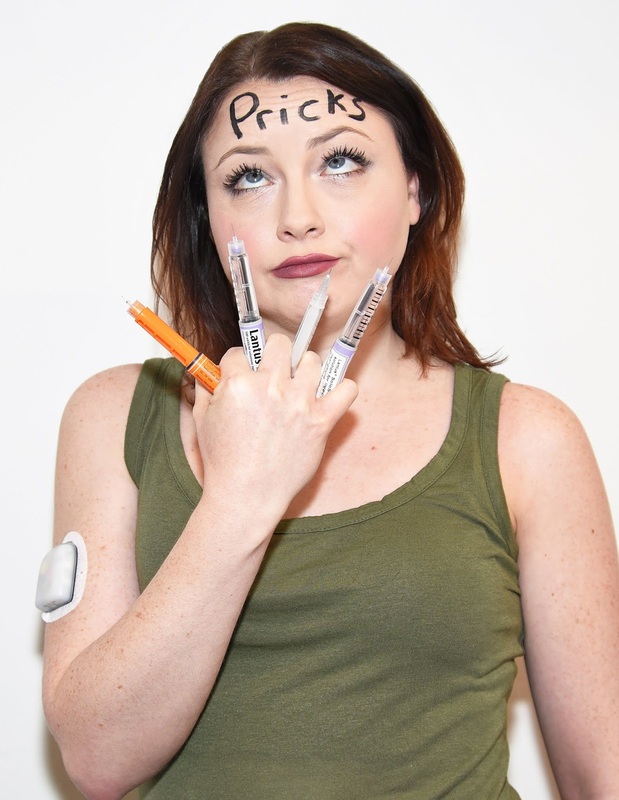 From her own experience and with the support of JDRF, the world’s leading type 1 diabetes research charity, she aims to clear up some of the common misconceptions, misunderstandings and misdiagnoses’ around the disorder. Using spoken word, poetry, projection and an original soundscape, Jade tells her story about families, learning to care for each other better, and the ups and downs of dealing with a lot of pricks. Jade Byrne is an actress who has toured with Northern Stage, Company of Angels and Open Clasp Theatre Company. For TV her roles include Casualty (BBC), Inspector George Gently (BBC), The Dumping Ground (CBBC) and Mount Pleasant (Sky Living) She is an Associate of Luxi Ltd and has helped deliver Battersea Arts Centre’s Collaborative Touring Network in Darlington, Jabberwocky Market, for 4 years. She is Jabberwocky Markets Artist in Residence this season. LittleMighty is an independent producer based in Leeds that works nationally with remarkable artists to make brilliant theatre happen. Their previous work includes Silent Uproar’s multi-award winning A Super Happy Story (About Feeling Super Sad); Unfolding Theatre’s Lands of Glass and Putting the Band Back Together (Journal Culture Awards: Best Performance); and Testament’s WOKE (co-production with West Yorkshire Playhouse, Royal Exchange Manchester, The Roundhouse and Camden People’s Theatre).